Daddy and Daughters Trip to Visit Grandma and Grandpa | The Chambers Family – A.D. In early March, a few weeks before I was due to give birth to our third child and first son, Dan flew on his first solo trip with both girls. The three of them spent the weekend in Livermore visiting Dan’s parents. Dan did a similar trip with Vivian before I gave birth to Lillian. The weekend allowed them great bonding time with Dan’s parents and allowed me quiet time at home. We really should do this more than once every two years! Dan’s mom wrote a great blog post about their time together and since I wasn’t personally there, I think it’s best to read about their fun times straight from the source! I'm a Midwest transplant in SoCal...spending my time exploring, questioning, reading, writing, baking, skiing, and running. 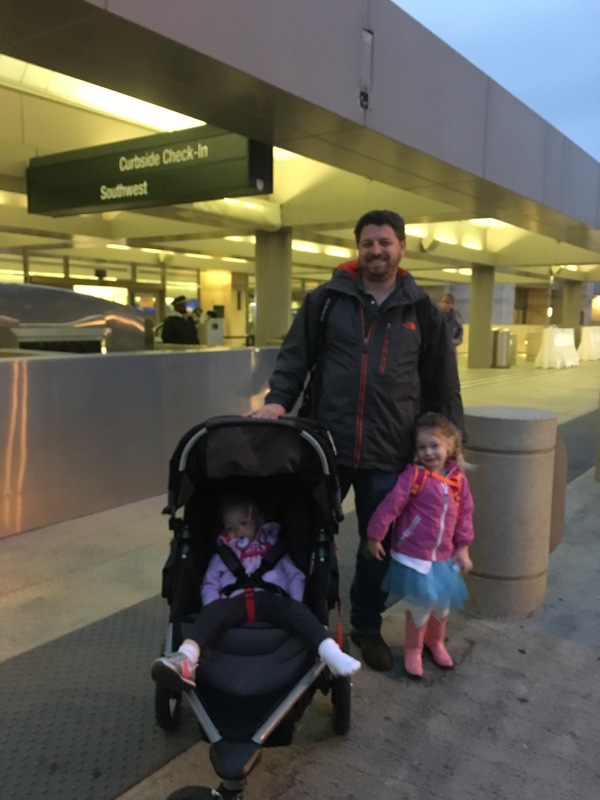 This entry was posted in Baby, Travel and tagged Livermore, OAK, SNA. Bookmark the permalink. I remember that pre-Lillian trip! this one sounds like it was also amazing, and I am all for occasionally getting Dad AND the kids out of the house.